Gone are the days of using harsh scrubs and drying clays. Cleanse, exfoliate and detoxify with our DETOX DIVA hydrating sheet mask that helps to minimize pores, absorb impurities and protect from toxins and free-radicals without removing your skin’s essential natural oils. MaskerAide hydrating sheet masks are made from TENCEL®. Tencel is an advanced non-woven 100% biodegradable cellulosic fiber. It combines enhanced performance with purity, smoothness and absorbency. Our sheet masks are travel friendly, 100% biodegradable and use recyclable packaging. They are also free from parabens, mineral oils, sulfates, phthalates, benzophones, artificial fragrances and pigments. 1. 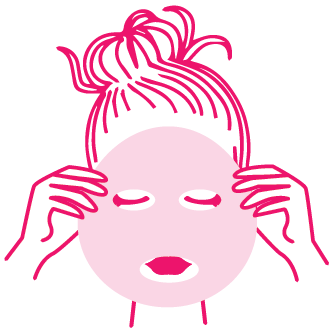 To prepare face for your at home facial, start by cleansing and toning your skin. 2. Tear open packet. Gently unfold mask and place on face. Adjust over eyes, nose and mouth for a perfect fit. Rub any excess serum into neck and chest. 3. Relax for 10-20 minutes. Remove mask and discard. Gently pat moisture into skin or give a quick rinse and lightly pat dry. 4. Use once per week. Can be used daily.